Whether you’re curious about Trello boards or just looking for new ideas, these 17 Trello board examples—for workflows like project management, development, sales, marketing, onboarding, and event planning—will provide you with an excess of inspiration for getting the most out of the platform. Trello boards can be used in nearly every aspect of business to improve organization, streamline workflows, increase productivity, and enhance collaboration. The best part: unless you want the extra bells and whistles, Trello is completely free. Create as many boards as you want, and add as many users as you need—all with zero impact to your budget. 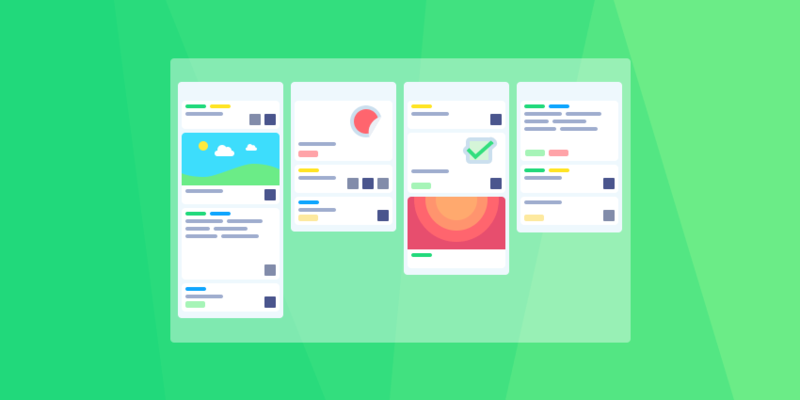 These example Trello boards highlight how you can use the platform to streamline web development, incident management, maintenance request, and IT support workflows. If you get regular requests from clients or internal partners for website updates, a website maintenance Trello board can help with organizing and tracking requests—and moving requests between multiple team members and departments. Requestors can subscribe to cards when making their requests so that they get notifications along each step of the maintenance process. 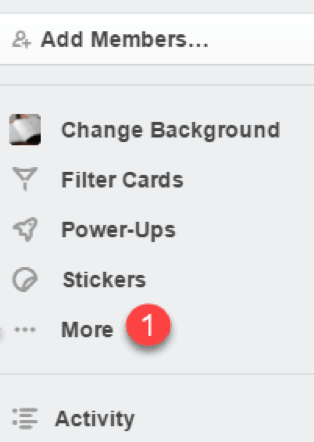 Team members in charge of specific processes can subscribe to relevant lists to receive notifications when new cards are moved into their list. Tasks can be transferred between team members and departments to streamline workflows, ensuring that team members down the line have all the necessary information to complete tasks upon arrival. Trello keeps detailed records of all conversations and changes. If questions arise after a change is completed, it’s simple to access historical data. To set up your own maintenance Trello board, think through all of the possible steps that might be required to complete common requests, and add a list for each. Also, make sure the people responsible for those tasks subscribe to their respective lists. It’s not critical to add everything upfront. If you remember something later, it’s simple to update the board and add a new list. If your development teams use Scrum, an agile web development Trello board can simplify the process of release planning and sprint planning. Prioritizing a backlog and moving stories into and out of sprints is as easy as dragging-and-dropping cards into the appropriate positions and lists. It also provides an easy way for product owners, scrum masters, and stakeholders to visualize sprint and release progress. Review the Trello board every day during standup, and consider adding a blocked column for stories with impediments. Conduct sprint planning from the release plan section to easily move stories into and out of the sprint as needed, then drag the sprint list to the beginning of the board to create the sprint backlog. Developers, testers, product owners, and scrum masters can subscribe to the appropriate lanes to get notifications when stories need their attention. Project managers, company leaders, and stakeholders can view project progress at any time, eliminating the need for the team to provide status reports. At the beginning of the project, either a product owner or scrum master needs to create a new board for the project, and then the product owner can create his/her backlog in Trello. Then, the scrum master can add a separate list for each sprint to be used in release and sprint planning. If you have a production incident support team, an incident management Trello board can help streamline and expedite issue resolution. Add incoming incidents as cards, and then indicate the criticality of the issue using either separate lists or colored labels. The board assists production support teams with organization, planning, reporting, and transparency. Larger companies that have teams dedicated to providing support with technology issues can benefit from establishing an IT support Trello board. Incoming requests for help with password recovery, networking issues, wireless access, and computer malfunctions can be entered into Trello, assigned to or picked up by support team members, and passed along the workflow through resolution. If the board is used for internal support, requestors can subscribe to cards to receive ongoing status updates. This increases the productivity of support team members because they no longer have to send individual update emails, and it eliminates the cost of clunky systems that send auto-generated emails when tasks are moved, reassigned, and completed. Managing large projects requires incredible coordination, detailed notes, and accurate reporting. Trello boards can help project managers keep track of impediments, takes notes on outstanding issues, and revisit issues at any time to create status updates or follow up on assigned tasks. If you lead a weekly project status update meeting, this project status and impediments tracking Trello board can be used to orchestrate the meeting. As new impediments are reported, they can be added to the new issues list. Add details about issues in card descriptions, and assign individuals who are responsible for resolving the issues or providing follow-up reports. Add due dates to cards to make sure issues are resolved before they create cascading impacts. Keep track of blocked items that you need to follow-up on. Review cards with the team during each meeting to discuss statuses, issues, and resolutions. Then, when you create your weekly project status report, you can access resolved issues and outstanding impediments to easily create reports that highlight project status. As a project or product manager, you certainly have a product roadmap, but the format and availability of the document may vary. With a product roadmap or annual planning Trello board, it’s easier to share your plans and improve transparency. A product roadmap Trello board improves relationships with stakeholders. Keep them informed with a visual guide to project/program progress, releases, and plans. The board can also be used to explain why certain requests can’t be accommodated in the requested timeframe. You can also share plans, updates, and progress with customers by making your Trello board public, encouraging transparency and improving customer service. Publishing, marketing, and sales teams have notoriously complex workflows that require collaboration from multiple individuals and departments to complete tasks. If you’re struggling to get work completed, these examples of how to use Trello for publishing, sales, and marketing tasks can help streamline task completion and improve cross-department collaboration. Add a list where you and your coworkers/employees can add cards for content ideas. Add a list for each month you want to plan for. Use colored labels to designate the type of media that will be used for the content (blog post, video, podcast, etc. ), or use labels to designate ideas that need more information. Prioritize new ideas as they come in by dragging and dropping cards into order of importance. By planning your publishing calendar in Trello, you can easily reprioritize and re-plan when last minute requests come in, you can be transparent with your plans by sharing the calendar with other departments and company leadership, and you can easily show leaders what will be bumped if your team is asked to accommodate a last-minute or rush request. Creating content for print or digital mediums requires collaboration between multiple departments, and possibly even freelancers. With a publishing Trello board, it’s easy to assign work to different teams and remote workers, ensuring that everyone has the information needed to do their work when it arrives. Think through all of the steps that content must go through before being published, and add a list for each step. Have designated team members subscribe to their lists to get notifications when new cards are added. Editors can assign remote and freelance staff to individual cards to notify them when new assignments are ready. Due dates can be added to each card. Past-due dates are highlighted in red, so editors can easily identify when items are taking longer than anticipated, and follow up on outstanding assignments. A publishing Trello board helps editors keep track of the status of work, reminds team members of tasks and deadlines, and makes it easier for freelancers to bill because they can submit invoices after items move to the published list. If leads are falling through the cracks or your sales team is struggling to keep track of lead status, this sales CRM Trello board can help restore organization and increase revenue. By moving sales CRM management to Trello, both sales and marketing can add cards for new leads. This improves collaboration between the two departments and ensures leads are contacted. It also improves relationships with prospects by making sure they’re contacted—but not contacted multiple times. Because Trello retains a detailed history for each card, it’s easy for sales reps, marketing teams, and company leaders to revisit cards at any time to see what outreach occurred, as well as the status/outcome of communications. Some amount of future planning can be conducted from memory, from your email inbox and folders, and with hand-written to-do lists, but these are inefficient means of planning your work at scale. Instead, consider the benefits to planning and reporting when using Trello as a to-do list. If you have one client as a freelancer, then it’s probably unnecessary to add the overhead of maintaining an assignment to-do list. But if you have multiple clients, competing deadlines, and ongoing requests, then this freelance assignments Trello board can help you get organized and hit deadlines. Add deadlines to cards to easily keep track of when assignments are due. 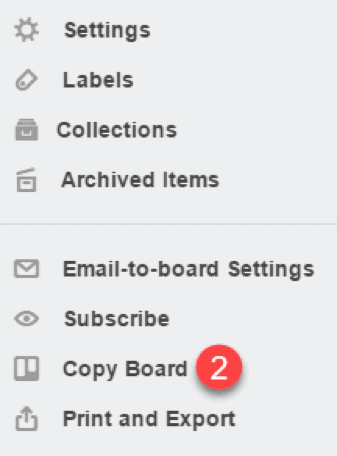 If you also subscribe to the card, Trello will automatically notify you when assignments are due soon or past due. Easily access a list of completed assignments when it’s time to create invoices. Keep an ongoing list of completed assignments and projects that can be used when searching for portfolio items/samples to send to prospective new clients. Using Trello to manage your freelance work also helps with capacity planning. If a new request comes in, you can review outstanding assignments to determine if you can accept the new work and meet the requested deadline. If you struggle to keep track of the things you have to do at work or are having trouble prioritizing assignments, an individual to-do Trello board can help you get organized, be more productive, and plan and keep track of your workload. Even if you have an excellent memory, are incredibly organized, and never forget tasks, a Trello to-do board can be beneficial because it allows you to revisit completed tasks. If your boss requires weekly progress reports, you can review completed tasks for the week to include in your report. It also helps during quarterly, mid-year, and annual reviews because you can easily find accomplishments to include—which may increase your chances of getting a raise. One final benefit of a personal to-do list is it can be used to force your boss to help you with prioritization. If your boss comes to you frequently with rush requests, you can share your existing to-do list and ask what should be pushed to a later date to accommodate last-minute tasks. If you hire one person a few times a year, then building a Trello board for recruiting, interviewing, or onboarding is probably unnecessary. But if you’re a recruiter or human resources specialist—or if you manage a very large team—these Trello boards can help with organization, planning, and sharing progress and updates. With a recruiting pipeline Trello board, you can allow hiring managers to post requests, communicate progress with hiring managers, and keep track of recruiting statuses and assignments. Add a request lane where hiring managers can add requests for open positions. Add an incomplete lane where requests that require more details before posting can be listed, reminding hiring managers to review their requests, and providing an easy way to follow up on outstanding requests. Keep track of jobs that need to be posted, jobs that are posted and accepting applications, and recruiters/specialists in charge of filling positions with separate lanes and card assignments. You can keep the initial recruiting pipeline in its own board, or you can also combine it with an interview planning board to keep track of open positions throughout the hiring process. After an acceptable number of applications are received for open positions, cards can move into an interview pipeline Trello board to manage the process of narrowing the pool of candidates, scheduling interviews with hiring managers, and making offers. This helps ensure that candidates don’t fall through the cracks, and that each candidate goes through all of the proper steps. It also reminds recruiters to follow up with hiring managers who are taking an unacceptable amount of time to make a decision. Onboarding new employees is a time-consuming process—especially if you work for a large company where employees have tasks, training, and paperwork for both department and human resources needs. A new hire onboarding Trello board can help walk new employees through all of the required steps. Hiring managers can work with human resource specialists to determine a list of all onboarding requirements and tasks, as well as when those tasks need to be completed. Then, when new employees arrive, the hiring manager can create a copy of the onboarding Trello board, and assign the board to the new employee. The employee can use the board as a to-do list for training and onboarding tasks, and the hiring manager can review the board incrementally to make sure the employee has completed all required and recommended tasks. Whether you’re planning your next team meeting, a department town hall, or a major industry conference, Trello can help you get organized, coordinate tasks, avoid oversights, and make sure your event runs smoothly. Plan agendas, organize guest speakers, and remind yourself of topics to cover in upcoming team meetings with a team meeting Trello board. Plan announcements, presentations, kudos, and activities for your next department meeting with a town hall Trello board. Organize and track tasks related to venue planning, finding speakers, creating schedules, acquiring sponsors, managing registrations, and marketing events with a conference planning Trello board. Similar board can be used to plan for any type of event or gathering, such as office parties, team building events, and one-on-ones with employees. If you’re interested in adopting one of these Trello board examples for your work, department, or processes, copying the boards is simple. Create a Trello account (if you don’t already have one). Navigate to the board you’re interested in. From the right menu, click More, and then click Copy Board. 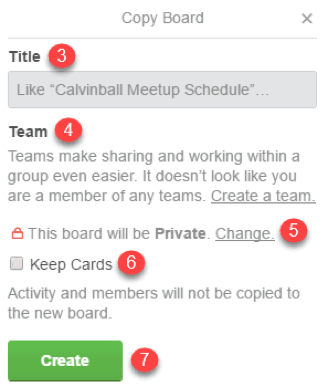 Give your new board a name, add team members, set the visibility, deselect Keep Cards, and click the Create button. The page will refresh to open your new board, and you’ll be ready to get started! How do you use Trello at work? Has it helped improve workflows, productivity, and organization? We’d love for you to share your ideas—or your public Trello boards—in the comments below.